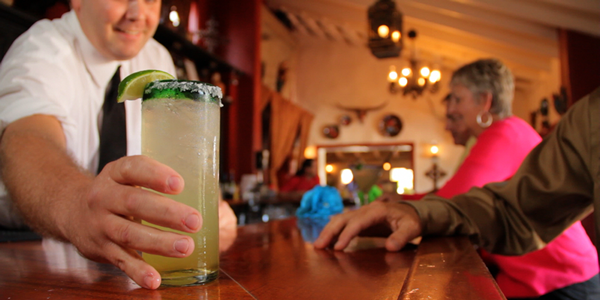 Barra Barra Saloon is part of Fiesta de Reyes in the heart of Old Town San Diego State Historic Park. Fiesta de Reyes is a vibrant and exciting dining, shopping and entertainment experience that will delight your whole group. 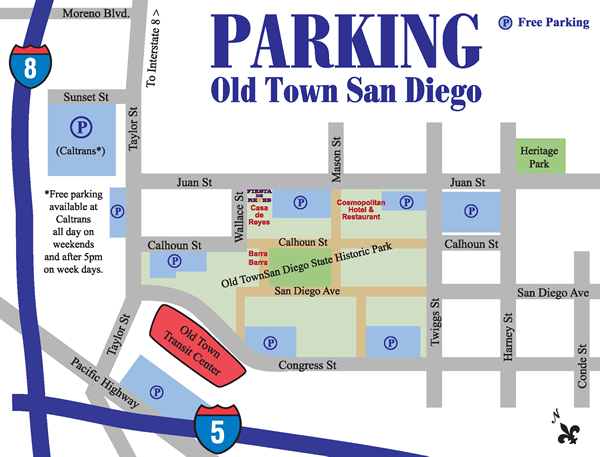 This is the birthplace of San Diego. 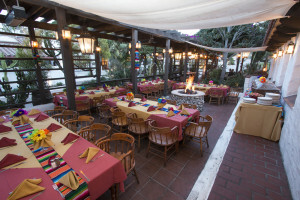 With three world-class restaurants, 19 unique shops, and a historic boutique hotel, Fiesta de Reyes is the perfect place for any dining occasion! 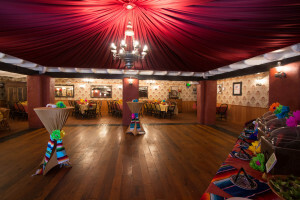 Barra Barra Saloon offers two historically inspired indoor spaces for your large and medium size events. Guests can enjoy a cocktail in our canopied Serrano Room centered around a beautiful chandelier or cozy up near a warm fireplace in our Fuego Room. From the “Best Margarita in San Diego for Only 7 bucks” to delightful seafood dishes to loaded flatbread tacos, Barra Barra is just the place to get your fiesta on. 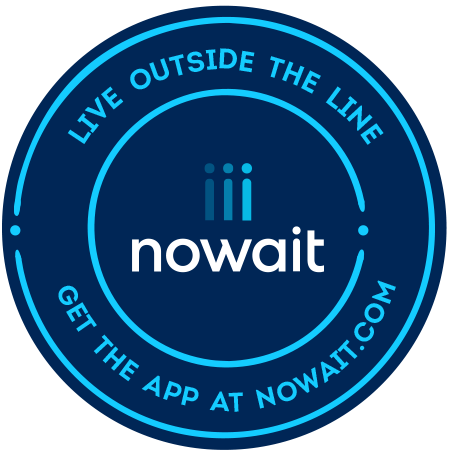 We are always happy to customize a menu just for you and to work within your budget. Serrano Room: Under a dramatic chandelier and interior canopy, the Serrano Room is perfect for private events of up to 120 guests. The richly appointed room features antiques, statues and a wide open central area for cocktail hour mingling or additional decorated dining space. For events with 70 guests or more, you will enjoy the freedom of a large private event space with the intimate feel of a private, exclusive room. 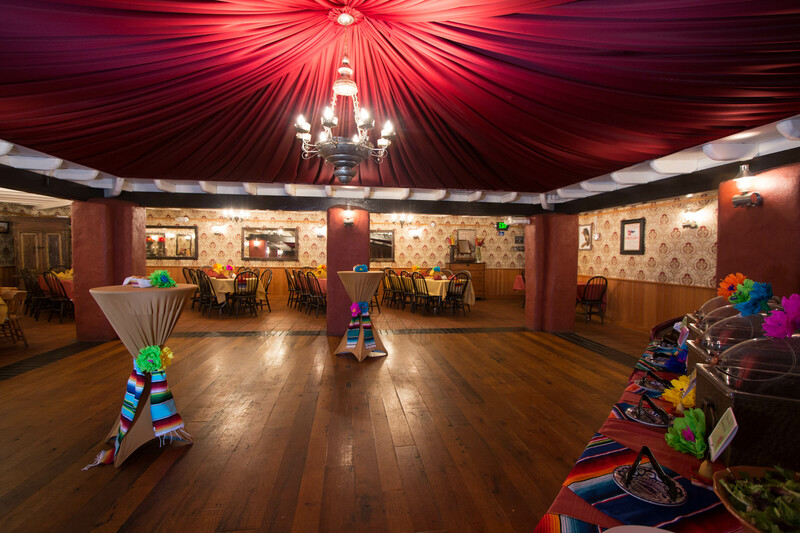 Fuego Room: The main interior dining room of the Barra Barra Saloon restaurant, the Fuego room can support events of up to 50 guests. 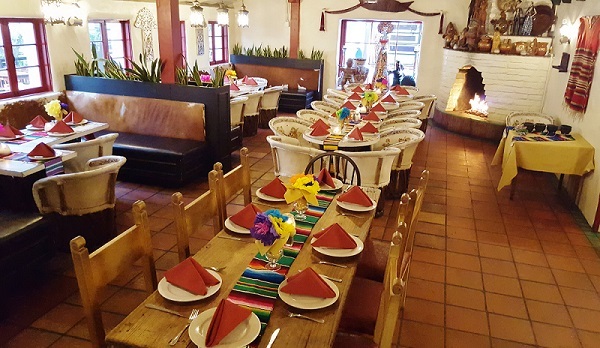 Guests will enjoy the high vaulted ceilings and richly decorated tables and space with a fireplace, beautifully hand painted equipales tables, and a built-in tortilla station where they can watch their delicious tortillas being handmade right before their eyes. 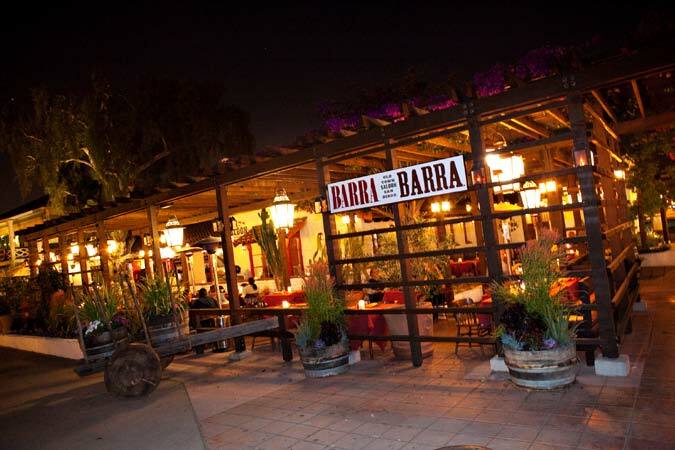 Barra Barra Patio: Barra Barra’s side patio is a perfect outdoor setting for events with up to 60 guests that want to enjoy the outdoors but still have a semi-private feel. Multiple decorated table arrangements are available surrounding the popular outdoor fire pit. For groups larger than 60 that still want to be outdoors at Barra Barra, our patio wraps around towards the front of the restaurant creating an “L” shape and allowing for seating of up to 100. 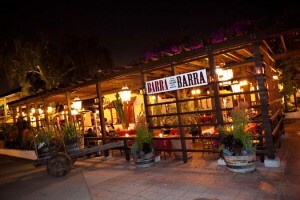 Barra Barra Buyout: Enjoy the freedom of having an entire award-winning restaurant to yourself for your event! Able to accommodate up to 315 guests, a Barra Barra Buyout will give you exclusive access to our exterior patios, interior dining room, the Serrano room, our full-service period bar and our fire-pit-adorned outside bar patio. Your guests will enjoy views of the historic Old Town San Diego State Historic Park plaza as well as our beautiful bougainvillea-covered arbors. 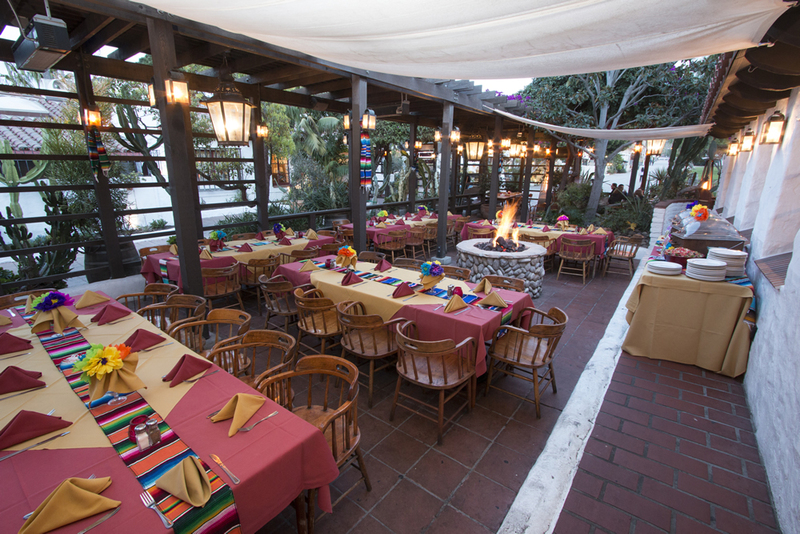 For additional group options visit our sister restaurant Casa de Reyes, located right next door to Barra Barra Saloon in Old Town San Diego State Historic Park.